About - The JL Foundation, Inc. Since 2004, we’ve held a golf tournament that raises money & awareness to combat diabetes. After incredible success a charitable foundation came to life. Now The JL Foundation Inc.,www.tjjlfoundation.com, a 501(c)3 tax entity continues its efforts by hosting yearly events, including our Youth Ambassador Program and our Family Fun Day, both allow us to voice our mission to a much larger audience. ​Nearly 29 million Americans have diabetes, which translates into over 8% of the population. With 18.8 million diagnosed cases of diabetes, 7 million are still undiagnosed. 1.25 million Americans have type one diabetes. By 2030 diabetes is expected to affect as many as 552 million people worldwide. With a foundations such as ours, the hope is to start early education of the disease and help to find a cure. Given the epidemic proportions of diabetes, this country cannot afford to stop the promising research being done to prevent, treat and move us closer to a cure. Your donation enhances diabetes programs assisting communities by providing money for diabetes-specific research leading to better treatments for diabetes and its complications — and moves us closer to a cure. Donations also provide the resources to help translate that science into practices to be used in local communities. These results have led to healthier lives for the people reached by these vital programs. We plan to continue our efforts to raise money and awareness to fight this horrible disease. There is no way we can beat this epidemic without your continued support. The JL Foundation will maintain our vision to win the fight against diabetes. We started having this tournament eight years ago with the intentions to raise money and raise awareness to combat diabetes. After incredible success we decided to create our own charitable foundation, and this website, www.TJJLFoundation.com , which allow us to voice our mission to a much larger audience. Given the epidemic proportions of diabetes, this country cannot afford to stop the promising research being done to prevent, treat and move us closer to a cure. Your donation enhances diabetes programs assisting communities by providing money for diabetes-specific research leading to better treatments for diabetes and its complications — and moves us closer to a cure. Donations also provide the resources to help translate that science into practices to be used in local communities. These results have led to healthier lives for the people reached by these vital programs. In 2012, we plan to continue our efforts to raise money and awareness to fight this horrible disease. There is no way we can combat this epidemic without your continued support. The Tommy Joe’s – Jon Lowe Foundation will maintain our vision to win the fight against diabetes. In type 1 diabetes, the body’s ability to regulate blood glucose is severely impaired. Blood glucose (blood sugar), is produced from the digestion of food (mostly carbohydrates) and by the liver, and is the source of energy for every cell of the body. The pancreas no longer produces the hormone insulin. Insulin’s job is to take the glucose from the blood and transport it to the cells to create energy. Lack of insulin causes the glucose to build up in the blood, and overtime cause serious damage to all body systems. Type 1 diabetes is an autoimmune disease where the body’s immune system attacks the insulin producing cells of the pancreas, called beta-cells, and destroys them. Very little is yet known why this happens, but the body must now depend on external insulin to survive. It is suspected that some kind of infection or virus triggers the autoimmune response that attacks the beta cells of the pancreas. The anti-body GAD (glutamic acid decarboxylase) is found in 70-80 percent of type 1 diabetes patients. The environment may also be a factor. More cases of diabetes are diagnosed in the winter months, in Northern climates, and in Caucasians. For instance, Canada has 60 percent more cases diagnosed per year than the U.S. Other factors that have been explored are childhood feeding practices, childhood viruses, and genetic susceptibility. Eighty-five percent of people living with type 1 diabetes are adults. The rate of type 1 diabetes incidence among children under the age of 14 is estimated to increase by three percent annually worldwide. Children may start bedwetting, and eating and drinking voraciously without normal growth, or even losing weight. Young adults may be losing sleep because of nightly bathroom trips, and complain of extreme fatigue and/or weakness. Blurred vision, irritability and unexplained weight loss develop over time. Simply, the body is starving because it is unable to use food as fuel. This is an emergency situation- call the doctor or go to the emergency room. This is diabetic ketoacidosis. Diagnosis day for type 1 diabetes is a dramatic event. This life-changing diagnosis is followed by a few days of hospitalization and a flurry of tests, finger pricks, insulin shots, and information to learn. Parents must quickly learn how to manage the child’s blood glucose all day and night, what to feed him or her and how to maneuver daily activities with blood glucose testing and insulin shots. If the patient is an adult, it is still important to have a support person, – friend, spouse or parent, – go through the learning process as a backup. Fortunately, modern day diabetes care includes an endocrinologist (medical expert in diabetes), nurses, dietitians, and diabetes educators to help the family through the technical and emotional challenges. Normal fasting glucose levels are 70-99 mg/dl. Fasting means no food for 12 hours overnight. When a meal is consumed, food is digested and turned into glucose, so the blood sugar rises. In a non-diabetic, the peak occurs about two hours after the start of the meal and will reach a level of 140 mg/dl. The newly diagnosed type 1 may have blood glucose levels over 300 mg/dl. Hemoglobin A1C 6.5 percent or higher. 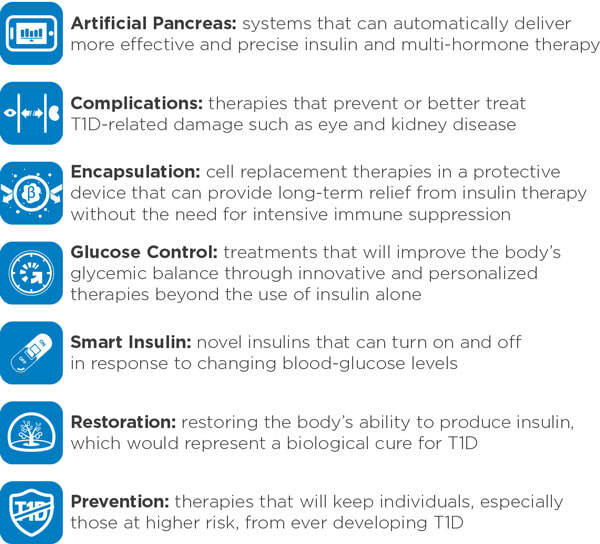 The treatment plan for type 1 diabetes is aimed at mimicing the natural body process of fueling the body. Blood glucose control is complex and involves the brain, the digestive system, the liver and pancreas and all the intricate processes of the hormones and enzymes of these organs. Insulin is the key hormone that transports glucose from the blood into the cell to give the body energy. It is essential for life. If the body stops making insulin, then an outside source, insulin injections, must be started. Injected insulin is a protein molecule and would be made useless if swallowed like a pill. Insulin is produced by the beta cells of the pancreas. Digestion starts with the first bite of food, turning some of the food, namely the carbohydrates, into glucose, and thus the blood glucose levels rise. Carbohydrates are digested most rapidly, then proteins and then fats. Insulin levels rise after eating, and after about four hours, then insulin secretion is low. Insulin is released in two phases; the first is a quick action that lasts 15 minutes. Then, a second slower phase lasts for 90 minutes or so, as the meal is eaten, digested and continues to raise the blood glucose. Insulin is also continually excreted in very small amounts around the clock. Regardless of how much or little one eats, the regulation of blood glucose will be within 70-140 mg/dl because of the complex feedback processes. When one does not eat, the pancreas secretes another hormone called glucagon, produced by the alpha cells, that breaks down stored glucose ( glycogen) and provides energy to the body, keeping the blood sugar from ever falling too low. The effect is a small rise in blood glucose. Another hormone that is made and released along with insulin, called amylin, regulates glucose levels from the gut, or digestive system. Discovery of other body processes that regulate blood glucose will offer more diabetes treatment options in the future. Information courtesy of JDRF Research.